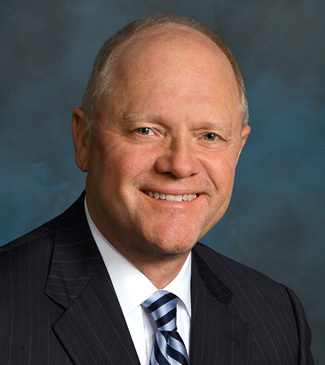 Ben W. Walker, III, CCIM, started his real estate career in 1977 after graduating from Louisiana Tech University with a Bachelor of Science Degree in Business Administration and Marketing. Walker worked for the C. W. Lane Company, Inc., a regional real estate investment company, for thirteen years and was responsible for the leasing, management, and development of their real estate portfolio. In 1990 he founded Walker Realty Management, Inc. and in 2003 formed Walker-Alley & Associates, LLC with Raymond S. Alley, SIOR. Walker has extensive brokerage experience and is a licensed real estate broker in Louisiana, Texas and Arkansas. Walker is the sponsoring Broker for Walker-Alley & Associates, LLC. Walker has been actively involved in business and community organizations. He is past president and board member of the Shreveport Building Owners & Managers Association and past board member of the Southwest Conference Building Owners & Managers Association. He is past chairman and board member of the Shreveport Downtown Development Authority. Walker is also past president of the Commercial Investment Division of the Northwest Louisiana Association of REALTORS. Walker previously served on the Board of Directors of the Northwest Louisiana Association of REALTORS. Walker is a member of The Committee of 100. He holds the CCIM designation from the National Association of Realtors, which is awarded upon completion of a graduate-level curriculum and attainment of a high level of qualifying experience. CCIMs are recognized experts in commercial real estate brokerage, leasing, asset management, valuation, and investment analysis. Walker is on the board of directors of the Louisiana CCIM Chapter and is the 2019 President.